Life exists just as it is, rather than just as we want it to be. Usually, though, we hold tightly to our ideas of how life should be, comparing them with how it is and being dissatisfied, angry, or disappointed–we suffer. To practice Zen is to let go of thoughts and judgments centering on our agendas. Opening our minds to life just as it is, beyond our thoughts about it, we can live fully and wholeheartedly. Face-to-face with this vast universe of constant change, realizing our interrelatedness with all things, we naturally cease being compelled by our ideas and judgments. Seeing clearly with the stability of a calm heart, we can act wisely and compassionately. Our foundation practice is zazen–sitting in equanimity. This is to sit quietly and aimlessly, putting aside thoughts, meeting each moment directly. When we leave the cushion we take this practice of directly meeting life just as it is with us into our lives beyond the zendo (meditation hall). What is the Zen Center? 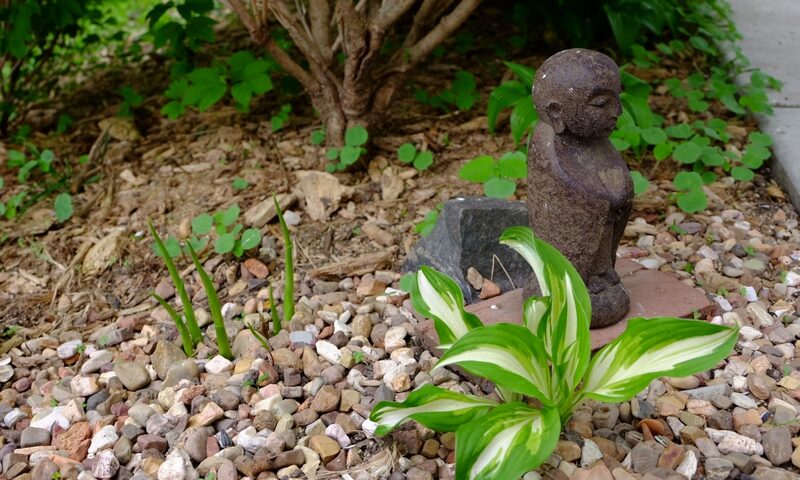 The Cedar Rapids Zen Center was founded in January 2000 in Cedar Rapids, Iowa. Our goal is to promote the practice of Zen Buddhism in the Soto Zen tradition by providing opportunities for Zen meditation, spiritual practice, religious study and community fellowship. We follow the teachings of the historical Buddha as they have been handed down from India through China and Japan to the United States. We offer morning and evening zazen (sitting meditation), as outlined in our daily schedule. We also host frequent all-day sittings, sesshins (three-day silent sittings), and introductory classes on a recurring basis; see the calendar of events for details. Anyone is welcome to practice or study at the Cedar Rapids Zen Center. Diversity of age, race, gender, abilities, sexual orientation, and religious faith enhances our sangha (community). We rely on donations for support. If you would like to help support us, you may contribute a single sum or pay a monthly pledge. Monthly contributions by active members are a great help in supporting the practice. As we are a religious organization, all contributions are tax deductible.